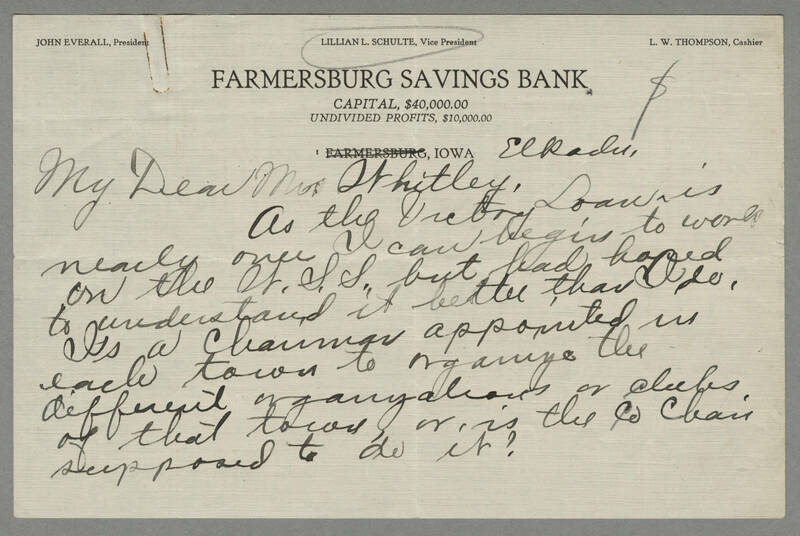 FARMERSBURG SAVINGS BANK Elkadu, IOWA My Dear Mrs Whitley, As the Victory Loan is nearly over I can begin to work on the W.S.S. but had hoped to understand it better than I do. Is a Chairman appointed in each town to organize the different organizations or clubs of that town, or is the Co Chair supposed to do it?